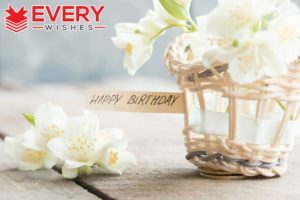 Want to make Religious Birthday Wishes , looking inside all of the birthday cards to find the right one, prefer to send an e-Card to your friend on his or her special day, or even like making your own, there are many different ways you can make a message that is just the right to wish well for your friend. Here are some ideas to get you started. Happy Birthday! I pray that your special day will be filled with all the glory and the wonder of God’s unfailing love and may you feel his presence working on your life all throughout the coming years! Every day is a great day to celebrate God’s wonderful works. But today is a great day to celebrate you, one of God’s most wondrous creations, happy birthday! Happy Birthday to you! May God continue to shower you with all the blessings you truly deserve! On your birthday, I wish that your faith in God will become even stronger and that God’s love will keep you going. Happy Birthday! On this day, may you feel the Lord’s loving presence working in your life! Enjoy your day for you deserve to be happy. Happy birthday! 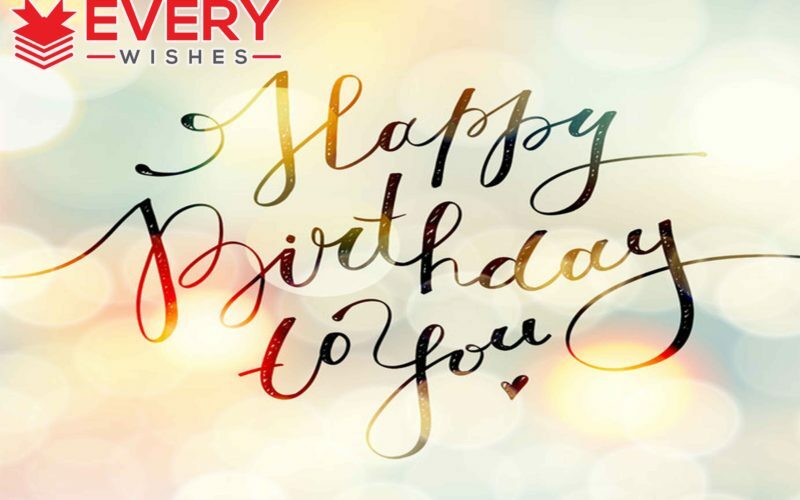 On your special day, I pray that God will continue to warm your heart and lift your spirits while granting you peace and serenity on this very special day of yours. Happy Birthday! May God continue to bless you with all the wonderful things in life! On this day of yours, take God’s hand and get excited for he’s got a lot of great things planned ahead of you and in the years to come. Happy Birthday! The road of faith may not be the easiest to take. This is the reason why God gives us a choice to go on our own. So be happy and celebrate the amazing choices you made on your life on this special day of yours. Happy Birthday! I wish I am with you to celebrate this special day. Please know that you are in my thoughts and you are in God’s embrace forever. Happy Birthday to you! Smile, for it’s your birthday. May God continue to shower you with so many blessings for you truly deserve to be happy! Happy Birthday! Birthdays are not all about presents, but it is about God’s presence too, cheers to you! Happy Birthday! Rejoice, for this is the day that God made you! Please know that I am really proud to become a part of your wonderful journey in life. May you have a wonderful birthday and so many great years ahead! Happy Birthday! Happy Birthday! May His word bring light into your life and guide you in every step you take and decisions you make. Today is one of the most special days that God has created. Why? Because it’s your birthday, happy birthday! It’s your faith that will make you to stay strong but it’s your birthdays that make you old. So on this birthday of yours, I pray that your faith in God will grow even stronger, happy birthday! God will not count the candles you have on your cake nor the money in your bank account. It’s the love in your soul that is what’s more important. Happy Birthday! Remember that you are made in God’s image and likeness, so try to look as presentable as you can on this birthday of yours, happy birthday! Happy Birthday! I pray that God will continue to bless the work of your hands and grant you continued favor all throughout your life. Happy Birthday to you! May God continue to keep you young and great looking all year round! Each day of your life is truly a gift from heaven above. Make sure that you tore off the wrapping paper and lavish on what’s inside. Enjoy your special day and may God bless you with so many more years to come and a great life to live ahead. Happy Birthday! Happy Birthday! May the upcoming years of your life be filled with new discoveries of God’s love and goodness! Happy birthday! Thank you for having us around. May you continue to receive God’s blessings in each and every day of your life! Happy birthday. Remember that celebrating a birthday is the same as counting how much blessings you have received in life. So be grateful, for God has truly blessed you a lot! Happy Birthday! On this day, celebrate life and celebrate happiness too! May God continue to bless you with so many wonderful things in life. Remember that God walks along with you on this birthday of yours. But there will be lots of your friends walking with you as well. Happy Birthday! Happy Birthday! May peace be upon you as you add another year in your life and may God grant all the desires of your heart! On your birthday, remember that God is walking with you each and every step of your journey. So be glad that it’s your birthday. Happy birthday! Celebrate your birthday but never forget to give thanks to God for the many wonderful things you have received in life. Happy Birthday to you! May you have a blessed day and a great life ahead! God Bless! You are created by God in his own image and likeness. That alone is enough reason to celebrate your life. Happy Birthday! Happy Birthday to you! May God continue to provide you with enough strength to blow all those candles in your cake! But in case you need help, I’m here for you always. Happy Birthday! If the Lord allows and the creeks don’t rise, then I will be there to help blow all the candles on your birthday cake. Happy Birthday! I am not sure if it’s really your birthday or if you just love to sneeze a lot because God has blessed you with so much, happy birthday! I hope you will have a truly amazing day on your birthday and may you have wonderful years ahead. Happy Birthday! On your birthday, may you be filled with peace, joy and laughter all year round! Through the years, as you go on with your journey in life, may you continue to strengthen lives and bring glory to our God! Happy Birthday! Today is not only a day to celebrate your birthday. But also a day to celebrate a great gift from God. Thanks for coming to our lives, happy birthday! Happy birthday! It’s time to celebrate your birthday and the life that God has given you. You should feel great for you were created by God! Happy birthday and May God continue to bless you! Wishing you a very happy birthday! 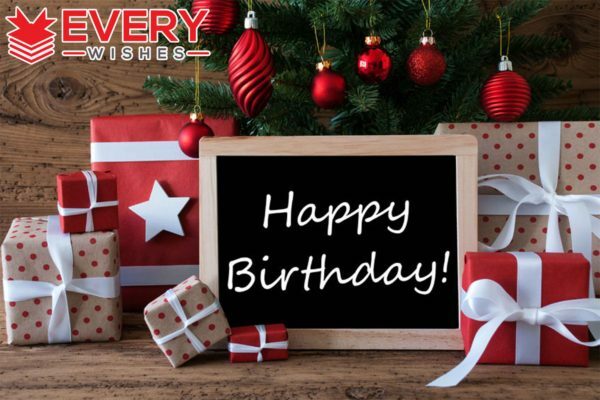 May you have a fantastic day and great years to come! Above all, may God grant all the desires and wishes in your heart! God certainly loves me for He allowed me to meet a special person like you. God bless you each and every day! Happy birthday! My prayer on this birthday of yours is a life that is filled with so much joy and happiness! Happy Birthday. 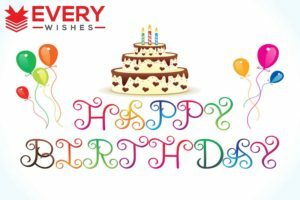 I hope that you will have a wonderful day and many more blessed years ahead. Happy Birthday and May God continue to bless you and your family. Happy Birthday! May God continue to bless you with lots of peace, love joy and happiness in your life! Happy Birthday! My wish for you is for God to uplift you more and bless you with everything that you desire in your life the most. May God bless you on this special day of yours and may the goodwill of others shine upon you. Above all, may you have peace in your life, happy birthday! May all of the blessings of another birthday uplift your spirit and fill your heart, happy birthday! Happy Birthday! May God continue to shelter you in His care! Remember that in every day of your life there is someone up there that is looking down on you. I wish that God will grant you may more birthdays to come and that you will continue to live long so we can spend more time together, happy birthday! Happy Birthday! Be grateful for God has blessed you with another year in your life. So celebrate and enjoy the celebration! A life well lived is enough reason to celebrate. Indeed, God is doing a happy dance when you were born. Happy Birthday! Here is a toast to celebrate the great life you have lived. Cheers on your birthday! I thank God that He made you for you have brought so much joy into our life. When God created you, He has done so with a purpose and a plan. He has seen all your days right before you have lived one of them so remember that you are truly special in the eyes of God. Happy Birthday! On this special day of yours, may the Lord God continue to pour his love on you wherever you go and in all the walks of your life! Happy Birthday! Happy Birthday to you! I thank God for guiding you through until this day. May His grace and follow you through always! Remember that we are all special in God’s sight. On your birthday, may you be blessed with so many wonderful times in the coming years and many happy returns in your life! Happy Birthday! On your birthday, my wish is for God to continue to pour out his blessings into your life and to the people you love. Be prepared to receive God’s blessings for there will surely be lots of them. Happy Birthday! Always let God choose your path for He will surely choose the right patch for you. Happy Birthday! Be happy for you truly deserve to be happy, not only this day but for the many more years ahead. You are truly a blessing from God so it’s really worth celebrating your birthday. Happy Birthday! I pray that your special day be filled with the glory and wonder of His abiding love, and may you feel his presence throughout the coming year. Each day is a day to celebrate God’s wondrous works. Each day is a gift from God. Today is a day to celebrate you, one of his most wondrous. Enjoy your special day. Faith is the seed of inspiration. Happy birthday to someone who never ceases to inspire me and all those around you. On your birthday, I wish you faith to keep you strong, love to keep you happy and perseverance to keep you going. Happy Birthday! May you feel the Lord’s loving presence in every moment of this special day and every blessed day to come. Happy birthday! May God be with you each and every step along life’s journey. Why would he give up on you now? God’s love is a never-ending waterfall that you were meant to dance under. Dance on this day as if everyone is watching, and the world will join you. May God warm your heart, lift your steps and grant you peace on this very special day. Take His hand and get excited; He’s got great things planned ahead for you! May God bless you with loads of happiness and joy for the rest of your life! The road of faith may not always be the easiest. That’s why God gives us a choice to go our own way. It’s amazing how often those two paths reconnect further down life’s highway. Celebrate your amazing choices on this special day. Happy Birthday! I wish I could be with you to celebrate this day. Know that you are in my thoughts and in God’s embrace. In other words, you are loved! Happy Birthday to a very special person. I could say Happy Birthday, but I won’t. Instead, I’ll shout it from the housetops and let everyone know what a super person you are! I thanked God for his unique gift. I thanked God for you! Before you were in your mother’s womb He knew you and planned for every step in your life. Now get ready, it was only the beginning of His unfolding Plan for your life. Forget the last birthday you had; God saved the best for last! Full of wonderful surprises, His “sudden lies” are on the way to you now! Hey! It’s your day and it’s your time! Things can only get better from this point on with the Lord at your side–every step of the way! I don’t need to tell you of the precious gift of life God gave you. I just want to remind you of all the lives you touch each and every day. Happy birthday to an amazing person. May our Lord bless you with a day filled with an abundance of love, gratitude and hope. May that abundance continue throughout the coming year. It’s your birthday, and you have all the Presence you’ll ever need. Enjoy it today and every day of the coming year. Birthdays are not about presents. It’s about His presence. Celebrate! The day God made you, He made the very best gift He could have given to me. You’re always thoughtful, kind and so very inspiring. God made you to last and He always knows what He’s doing! Delight yourself in the Lord and He’ll give you the desires of your heart. I know, He made you just for me. The best is yet to come! God gave you life. You carried on from there. I’m so proud to be part of your amazing journey. Have a wonderful birthday. You deserve it. Hope, faith and love–you have them all. You wear them so humbly on your shoulders never failing to bring these gifts to others. May God richly bless your special day! Did you know that you’ve made a difference in my life? You do it every day! And since it’s your Birthday, I’ll just say that you light up my life as well. May His Word bring light into your life and guide your steps even if it should get dark. You’ll never stumble because He is there with you all the way. Enjoy the journey! Today, the most special of days, take His Hand and let Him lead you on the wildest, greatest and most exciting joyful ride you could ever take–Happy Birthday! The Lord made you unique, full of limitless possibilities, generous and kind. Actually, you’re the best thing that’s ever happened to me. The Lord thought about you; then He molded you. Finally, He sculpted you out! No wonder you’re so great; His ways are always perfect and so are you! There’s no greater gift than the gift of God’s love. Therefore, I didn’t bother to shop. 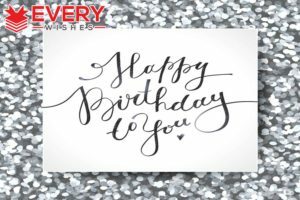 Enjoy my very heartfelt wishes on this special day. ? On this special day, take time to reflect on another year well-lived. Perhaps next year that life will be yours. Ha, so blessed to have such a special person in my life–one who knows how to take a joke. I know I don’t show you my love as often as I should. I’m grateful God is always there to back me up. Enjoy this very special day. God has blessed you with another birthday. Have you sent your thank you note yet? A life well-lived is always a reason to celebrate. God is up in heaven doing his Happy Dance. Here’s a toast to celebrate your life starting today; here’s to your Birthday! Thank God He made you and fashioned you just for the rest of us–now enjoy it! You were made in God’s image so try to look good in your birthday photos. Happy Birthday. God put you here on Earth wearing your birthday suit, but maybe you can help him out and dress better when you celebrate. God makes you happy. You make God happy. Have a Happy Birthday! Yo dude. Happy birthday man! God bless and hope you had a great one! May God keep you young and good-looking like me. Happy Birthday. I’m so grateful that God has blessed you with another year, HAPPY BIRTHDAY. Each day is a gift from God. Make sure that you rip off the wrapping paper and enjoy what is inside. Happy Birthday. Enjoy your day and may God bless you with many more years! Happy Birthday. May God shed his grace on you Happy birthday. May the coming year be full of new discoveries of God’s love & Goodness! Happy Birthday! Thanks for letting us be around you – God’s greatest creation – on your birthday and every day. Happy Birthday. God gives you time. Celebrating a birthday is just counting how much you have already received. Wish u a very happy birthday, May god bless u with lots of happiness & success in the world. Happy Birthday! Celebrate life. Celebrate happiness. Celebrate your birthday. Celebrate that God gives all this to you. May peace be upon you as you mark the anniversary of the beginning of your life. God walks with you on your birthday – but there will be lots of friends around as well. May God grant you the necessary strength to blow out all of those candles on your cake. Happy Birthday. God walks each step of your journey with you as you walk through life. Happy Birthday. Your friendship is proof that God loves me. Happy Birthday. Happy Birthday!!! Hope you have a blessed day!! Don’t pray for forgiveness for eating too much birthday cake, get some exercise. God made one of you. Even that alone would be a wonder. Happy Birthday! May God give you the strength and power to blow out all those candles. Happy Birthday. Praying that your birthday will be as much fun as you are. Happy Birthday. If the Lord is willing and the creeks don’t rise, I’ll be there to help blow out the candles on your birthday pies, uh birthday cakes. 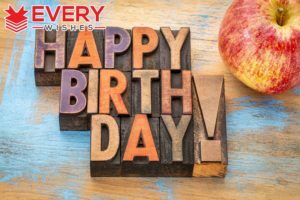 Through the years, in faith, may you strengthen lives and bear much fruit Bring great glory to your God on this your birthday and know you’re loved! God will provide a light for your path, so maybe you don’t need so many candles on your birthday cake. Happy Birthday! Enjoy having a blast and May God continue to Bless you unconditionally. The goodness of God is obvious in that he shares you with the rest of us. Happy Birthday. God deserves a holiday for the day that you were born. Happy Birthday. May God bless you and give you peace and happiness. Happy Birthday. On this special day, I wish you all the very best, all the joy you can ever have and may you be blessed abundantly today, tomorrow and the days to come! 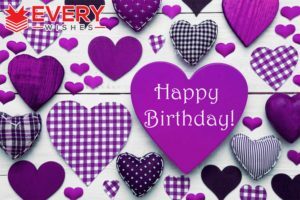 May you have a fantastic birthday and many more to come… HAPPY BIRTHDAY!!! God gave us a birthday gift on the day you were born. Happy Birthday. My wish for you is to be happy, enjoy life, follow God’s will in your life, and that you have continued success in all you do. God bless you and your family and friends!!! I hope you have a wonderful day and many blessed years to come! God Bless you and your family! HAPPY BIRTHDAY!! Today is not just your birthday, but a gift from God. Happy Birthday. Celebrate your birthday and celebrate the life that God has given you. Happy Birthday. God had a pretty good plan when he made you so plan on having a pretty fun birthday. As they say, God broke the mold after he made you. I am just glad that it wasn’t before then. Happy Birthday. Happy Birthday! May God grant your heart’s desire by giving you the winning numbers so that you may win the lotto. All of the beauty on the earth was placed here for you to enjoy. Give thanks for each day that you can. Happy Birthday. Bless your heart. It’s your birthday. Bless everything that surrounds you. My prayer on your birthday is for a life of happiness for you and all those around you. May God bless you every day every way everywhere. Happy Birthday. Thanks be to God for the gifts that he has given you and may you celebrate them many more years. Happy Birthday. I wish you all the happiness in the world. May God bless you with Love, Happiness, And Family & Friends. HAPPY BIRTHDAY!! Happy Bday! I pray that your special day will be filled with all the glory and the wonder of God’s unfailing love and may you feel his presence working on your life all throughout the coming years! Every day is a great day to celebrate God’s wonderful works. But today is a great day to celebrate you, one of God’s most wondrous creations, wonderful birthday! Wishing you a very happy birthday, my dear. May God make His heavenly face shine on you on this special day of yours and all the days of your life. Wishing you, my dearest friend, a happy birthday. May the Lord that we serve bless you today and forever? Thank you for being such a great friend to me. May goodness and mercy accompany you today and all the days of your beautiful life? Happy birthday, my dearest one. It brings me so much joy to celebrate your birthday with you. I pray that our God blesses you and wraps His mighty arms of protection around you on this extra special day and forever. May you know nothing but happiness from this day onward? May God protect and keep you. Have a very happy birthday. My prayer for you today is that the almighty God never cease blessing you, and that you see more remarkable days like today. Happy birthday! I am so grateful that you have been blessed with another fabulous year. On this blessed day, I pray that all your wishes come true and that you have eternal happiness. Happy birthday to you, my dear friend. May God almighty bless you with a life full of joy and happiness? And may you always find favor in His eyes. Have a happy birthday. My dearest sister, may you experience more goodness from the Lord as you celebrate your birthday today. May your blessings be more plentiful than the waters of the oceans so that your heart may forever be filled with happiness. Happy birthday. Make merry and have lots of fun today, sweet sister, for today is your day. I pray for happiness and great treasures in your life. Have a beautiful anniversary. May the doors of Heaven open and shower you with opportunities and happiness galore as you celebrate this special occasion in your life. Happy festive day, dear sister!